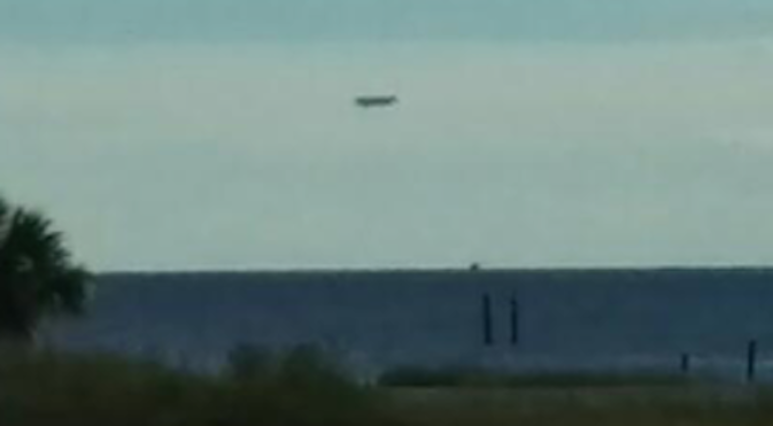 UFO SIGHTINGS DAILY: UFO Seen Over Keaton Beach, Florida On Oct 11, 2015, UFO Sighting News. UFO Seen Over Keaton Beach, Florida On Oct 11, 2015, UFO Sighting News. 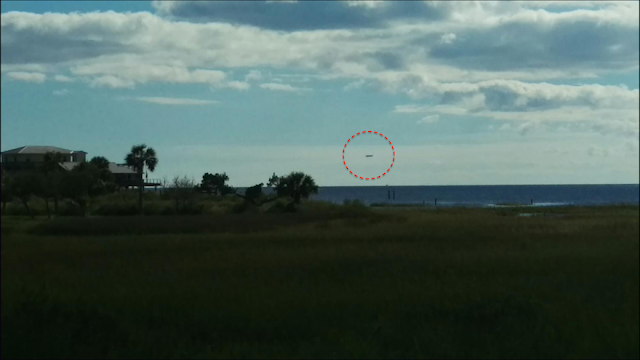 Many UFOs have been reported from Florida beaches this month, but this has to be the most clear photo in a while. At first I thought this was the lost military blimp in the US, but this sighting took place 2 weeks before that incident ever happened. The UFO sits over the ocean and probably came from below the surface of the water. 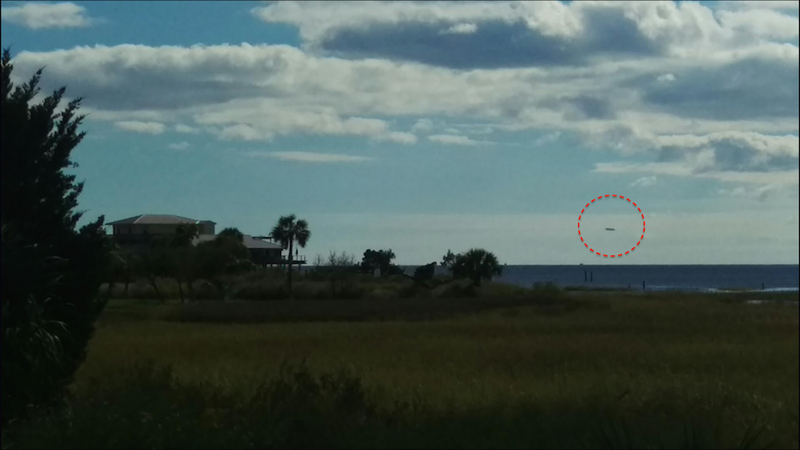 My friend and I were fishing in Keaton Beach, FL and after pulling the boat out of the water, we noticed a big object in the sky to the west. 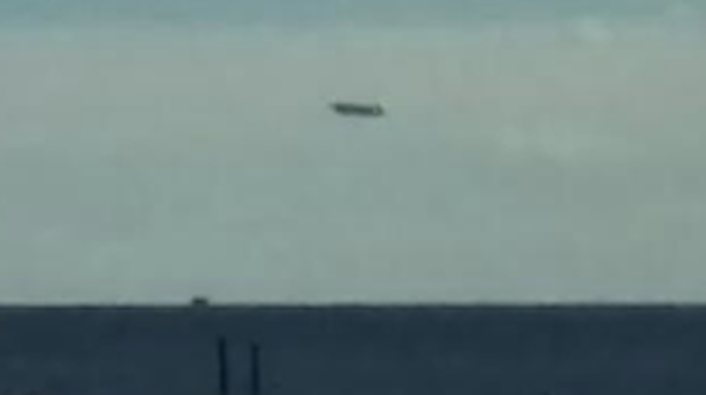 It was a big rectangular shaped object moving very slow towards the south. We had no idea what the object was when we first saw it so a UFO came to mind. We took two pictures 40' apart from the same road. The object appeared to be moving the whole 30 minutes that we watched it. We had to leave the area while the object was still in the sky.